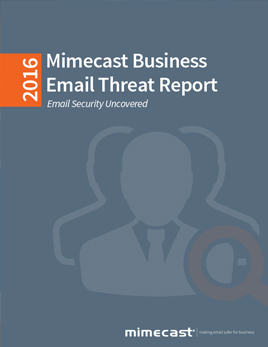 Explore Mimecast’s latest Research Report to learn the latest trends In IT security, and how you can be prepared. Whether you’ve faced an email cyber-attack before and feel prepared to take on new threats, or don’t have experience and feel more vulnerable, there are always steps IT can take to get ready for the evolving email security landscape. While information systems may use increasingly complex security measures, these updates continue to leave one significant vulnerability unaddressed: employees themselves. Email, in particular, represents one of the largest threats that employees can unintentionally pose to their network’s integrity. 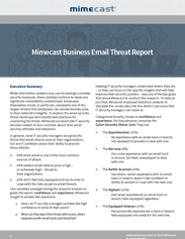 To explore the email security threat landscape and identify best practices for countering the threat, Mimecast surveyed 600 IT security decision makers in four countries about their email security attitudes and behaviors. 83% think email is one of the most common sources of attack. 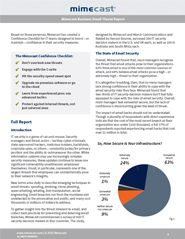 64% believe email attacks pose a high – or extremely high – threat to their organization. 65% don’t feel fully equipped and up-to-date to cope with the risks posed by email threats.